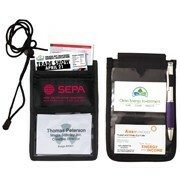 Perhaps the most economical and impactful promotional items are branded badge reels, badgeholders and ID lanyards. These printed items are worn and used by thousands of people each day. It helps distinguish people from different departments and different companies. 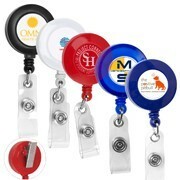 We offer innovative retractable badge reels and other highly creative badgeholders and lanyards. Our materials are lightweight and durable so they will surely last a long time. These promo items likewise offer great spaces for corporate logos. Innovation Line ends your search for ingenious and affordable promotional merchandise. Consult with our sales specialists and gain insights on how best to promote a brand or product.